A special thank you to our panelists, speakers, and keynotes. And we couldn’t have done it without our generous sponsors, Duff & Phelps, Cost Quest, Assessment Valuation Advisors, and Maura’s Voice. 84 Waller, St., Austin, TX U.S.A.
Only two more weeks until the 14th Annual TFI Technology Conference! There’s still time to register and join us Jan. 24-25 in Austin for the top technology conference on the latest trends impacting communications and asset valuation. Sponsored by Duff & Phelps, CostQuest, and AVA. • The pivotal wireless technology 5G and its tremendous implications for the communications industry. Led by wireless consultant extraordinaire, Iain Gillott of iGR and UT Professor Robert Heath, joined by top industry experts from AT&T Labs, PHAZR, Affirmed Networks, CostQuest, and Allnet Insights & Analytics. • The risks and economics of Fiber Deep which is taking cable to the next level with CostQuest’s Jim Stegeman. • Communications public policy with recent FCC commissioner Mignon Clyburn. • Asset valuation and property tax implications of technology change, led by Duff & Phelp’s Ruben Miranda, AVA’s Jeff Binkley, and Peggy Wardlaw joined by Valentiam’s Carl Hoemke and representatives from AT&T, Charter, Comcast, and T-Mobile. • The latest forecasts and industry developments with TFI’s Larry Vanston and Ray Hodges, USC Professor Augie Grant, and OSU Professor Kim Houser. See 14th Annual TFI Technology Conference for the complete schedule! We are excited to announce that Dr. Robert Heath, Professor of Electrical and Computer Engineering, The University of Texas at Austin, is on-board for our 14th Annual TFI Technology Conference, Jan 24-25, 2019! He will lead the panel “Coloring in the 5G Triangle: Super High Bandwidth, Massive IoT, and Ultra High Reliability” with featured technology specialists in 5G delivery. We are also lining up speakers on Fiber Deep, the broadband/video industry, public policy, and the tax/valuation implications of technology change. We plan to make more announcements soon! The moderator of the 5G Triangle panel will be Iain Gillott of iGR, wireless expert extraordinaire, who will also introduce our 2019 main theme: 5G and its Business and Valuation Implications, where we take a deeper look into 5G technology and its impacts on broadband, cable, video, and other asset-intensive industries. Professor Heath spoke to us in 2016 about millimeter wave technology and cars communicating. This year he will give a special presentation on his current research interests: “Connected Aerial Vehicles and Machine Learning for Communications”. TFI is pleased to announce that registration is open for the 14th Annual TFI Technology Conference, Jan 24-25, 2019. Join us in exciting downtown Austin as industry thought-leaders and professionals gather once again to share the latest trends and developments impacting communications and asset valuation. 2019 Theme: 5G and its Business and Valuation Implications. Iain Gillott, wireless expert extraordinaire, returns to TFI for the fourth time. This time Iain will lead us through a deeper look into 5G technology and its impacts on broadband, cable, video, and other asset-intensive industries.For 2019, we are re-introducing tax and valuation-specific segments to the conference to reinforce the relevance of technology change to asset valuation. We hope you’ll join your colleagues in what promises to be another interesting and important event! It’s not to late to register! For more information, we invite you to visit the TFI Conference Site, email us at info@tfi.com, or call us at (512) 258-8898. Jeffrey Andrews, Cullen Trust Professor of Electrical & Computer Engineering, University of Texas at Austin is returning to our TFI Communications Technology Conference, Austin, Jan 25-26, 2018. His previous keynotes at the 2011 and 2014 TFI Conferences are among our most memorable and popular. Professor Andrews’ topic this year will be “5G and the Promise and Perils of Ultra-Densification.” He will also discuss New Radio (the first 5G physical layer standard) and update us on what’s new in the cellular and WiFi community looking forward. We are very much looking forward to welcoming Professor Andrews back! 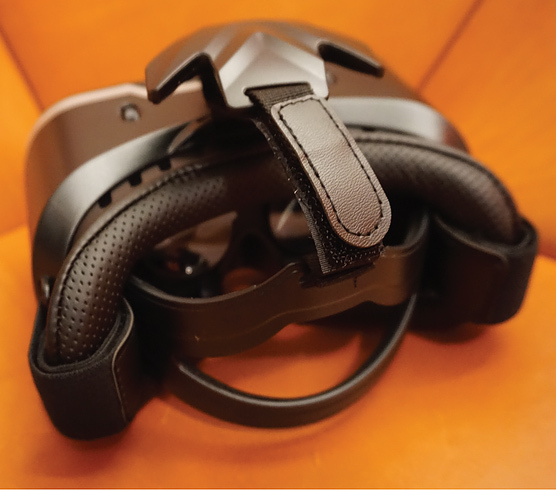 In case you haven’t heard, Austin is a hotbed for Virtual and Augmented Reality. We are excited to announce that one of its leaders, Austin AR Lab, is collaborating with us on our TFI Communications Technology Conference, Austin, Jan 25-26, 2018. Yes it’s for “Real!” Live Demos and a Keynote. We are in for a treat, so be prepared for fun and enlightenment. VR and AR are sure to have immense impacts on the communications industry even if we don’t yet know the exact path. It’s our job to understand these technologies and where they are headed. Nice work, if you can get it! 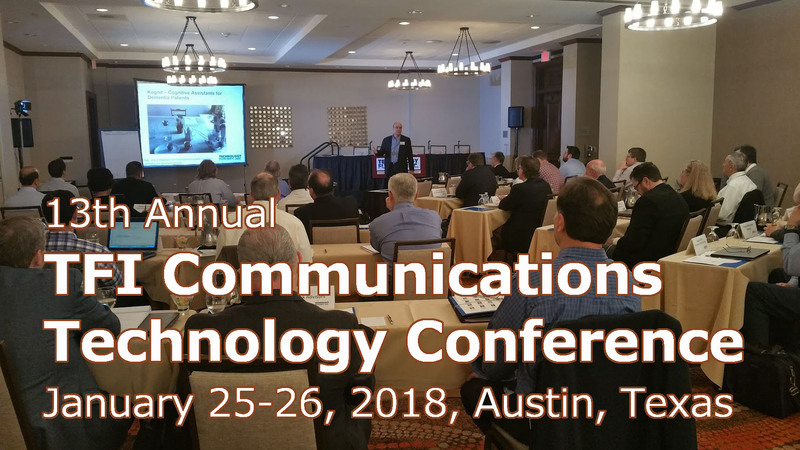 We hope you will join us in Austin as industry leaders share the latest trends and developments impacting communications technology.